I have been BUSY! Painting several larger paintings for an upcoming show at The Dalles Art Center in The Dalles, OR. Here is one of them! I am glad to have these paintings delivered, ready for the opening on Thursday July 6 from 5-7pm! Stop by and say hello to me and the other artists in the show, Karen Watson-Pastels and Melanie Thompson-Ceramics! Click this link to view "#1040 Summer Shadows 12x12in" oil painting on Daily Paintworks Website, and to see all of my available paintings. 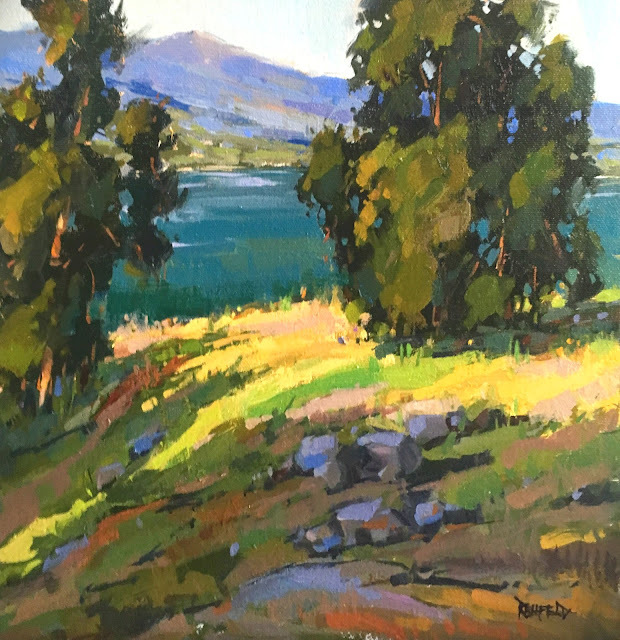 #1039 The Hood River 12"x12"